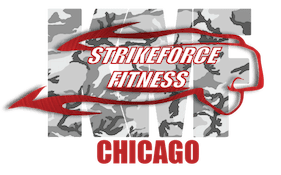 Tony, the creator of Tactical Fighting Systems, currently works as a Chicago Police Officer and has 25 years of law enforcement experience, including 23 years with the Chicago Police Department and 2 years with the Cook County Department of Corrections. Tony has over 30 years of martial arts experience and is a second degree black belt in hapkido. Tony has also trained in several other martial arts and fighting systems, including Krav Maga, Wing Chun, Jiu Jitsu, and DNA (Defence Lab), and is a certified Krav Maga Force Training (LEO) Instructor, as well as a certified civilian Krav Maga instructor. Tony firmly believes that in the world today where violence has become the norm, people need to become proactive and arm themselves with the tools necessary to defend themselves and make it home alive. In 2013, he opened his self-defense school and training facility and made it his mission to provide his students with effective and realistic self-defense training. Tony believes and teaches his students that using an effective blend of combatives, self-defense techniques, mental strength, and confidence is the key to surviving and defeating a violent attacker.